This blog post is all about how marketers can answer this challenging question – and build a sensible framework for measuring the effectiveness of their decisions. Knowing when to measure. The money you invest today will have an uncertain impact at an uncertain point in the future. Last month’s tradeshow may deliver results next month or perhaps not for two years, but marketers need to decide where to invest their budget today. Multiple touches. Proverbial marketing wisdom says at least seven touches are needed in order to convert a cold lead into a sale. Whether or not this is the correct number, the principle conveys an element of truth: every marketer knows it takes multiple touches to create a customer. This fact makes it difficult to allocate revenue to any specific touch. Multiple influencers. The average buying committee at a mid-sized company comprises six people. In the case of larger companies or more complex purchases, such a committee can involve 21 or more influencers. Different marketing programs affect each individual differently, so it is a challenge to know which programs have the most impact. Extraneous variables. In many cases, factors outside Marketing’s control can significantly impact program results – from macro-economic trends, to the weather, to the quality of the sales reps. If revenues increased because the economy improved, can marketers claim their programs delivered better ROI? Do you want to learn more about the variables that affect marketing ROI and how to plan for them? Find this information and more in The Definitive Guide to Marketing Metrics and Marketing Analytics. Each sequential method on this list will give you a more accurate view into your customer value data – but this additional insight also comes with a corollary rise in cost and complexity. As a result, most organizations begin the process of Marketing Program Measurement with the first and second methodologies, and begin to experiment with more approaches as they move up the maturity curve. 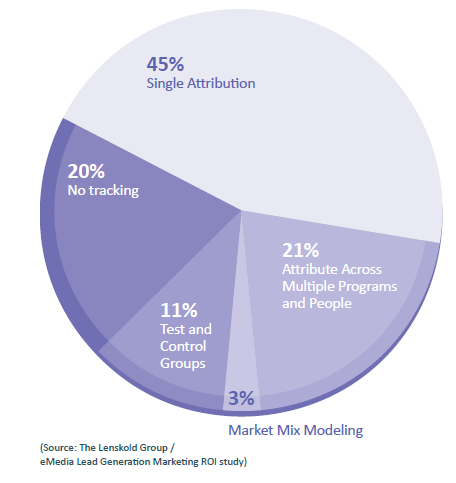 According to The Lenskold Group / eMedia Lead Generation Marketing ROI Study, almost 2/3 of companies use either no tracking or basic single attribution. Here’s an explanation of each of these methodologies, as well as some of the advantages and disadvantages of each. The most common methodology for tracking the results of marketing programs is to assign all the value to the first (or last) program that touched the deal. This usually means allocating the deal to the source of the first person from that company, or to the key person. First Touch Allocate all the value to the FIRST program that touched the deal. Typically this is the Lead Source. If a company held a webinar and generated a lead that closed a deal one year later, that company would give revenue credit to the initial webinar. Last Touch In contrast, last touch attribution gives revenue credit to the LAST program that touched the lead before the key action was taken. If a Lead becomes a Prospect after watching a product demo, that demo would receive revenue credit, even though a sales rep had nurtured the Lead in several other ways. An obvious disadvantage of first and last touch attribution is that today’s marketing investments may not pay off for quite some time, so the ROI of your current Marketing programs remain in limbo. I call this the “tyranny of time”. Approaches to Marketing ROI measurements that do not properly account for the time-to-investment payoff can lead to decisions that bias towards short-term gains over building true long-term value. This applies across all industries, but its impact is especially acute in companies with considered-purchase products and long revenue cycles. The solution is to make revenue cycle projections. 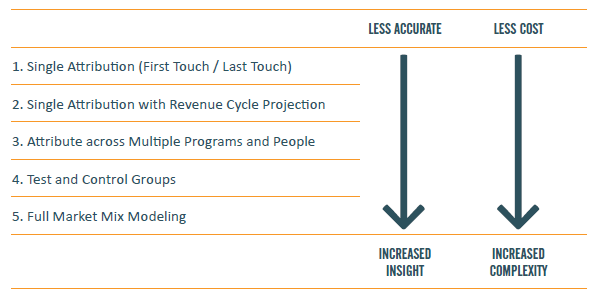 By adding revenue cycle projections to a first touch single attribution, you can gain deeper insight into the long-term impacts of your programs. For example, instead of waiting to see the actual results of a tradeshow, this approach looks at what impact the tradeshow had at the top of the revenue cycle, and embellishes that view by estimating the tradeshow’s long-term impact based on historical conversion metrics. In the example model below, Tradeshow 1 occurred a year ago and shows a fairly good picture of its returns. In contrast, Tradeshow 2 just happened last week. With the basic first touch single attribution model, Tradeshow 2 looks as if it has delivered very poor results. But this is not an apples-to-apples comparison. However, when we apply revenue cycle understanding of how leads from similar tradeshows have converted over time to the above model, we are able to estimate what the total future impact of the tradeshow will be. This approach recognizes that it takes multiple touches from multiple people to close a deal, and attempts to measure the contribution of each individual touch. I gave an example of multi-touch attribution in my post, The ROI of Paid Social Media Ads. Assume a deal worth $100,000 recently closed. Three people were involved in the deal: Person A attended Tradeshow 1 and Seminar 2, Person B attended Tradeshow 1 only, and Person C was sent Direct Mail 1 and clicked to the website. In this scenario, you might give $50K credit to Tradeshow 1, $25K to Seminar 2, and $25K to Direct Mail 1. Start with the action you are analyzing (e.g. pipeline creation, closed revenue, etc. ), and work backward to identify each significant touch that affected all of the contacts associated with that particular deal – but make sure you account for only the touches that occurred before the action was taken. Once you compile a comprehensive list of touches for a given deal, next you need to allocate the revenue, pipeline, etc. of the resulting deal to each touch. This is called multi-touch attribution, and it is often best done with a simple even distribution – if there were five touches, each touch gets a 1/5 of the revenue. By Time: You may want to weigh some touches over others based on when they occurred in relation to the action that delivered value. This assumption is especially true for programs that happen immediately before the key behavior. For example, the fact the prospect attended last week’s webinar may have more to do with them becoming a lead than the whitepaper they downloaded and tradeshow they attended 12 months ago. By Role: You may give more weight to programs that touched the key decision maker than those affecting other influencers. Just be sure your weighting matches your business realities – a CEO shouldn’t be weighted more heavily than a Manager if he or she has little impact on the deal. By Program Type: Some marketers will choose to weight certain types of touches more heavily than others, based on the level of engagement. For example, attending a two-hour seminar may have more impact than a simple website visit. However, be careful not to give more weight to more expensive programs just because they cost more – that opens you up to other executives questioning your assumptions. Be aware that each of these weighting approaches inherently adds a subjective element to your ROI analysis. So no matter what allocation assumptions you make, be sure you can defend them in front of your executive leadership and board – otherwise you risk hurting the credibility of the entire analysis. That’s why I believe it’s often best to weight all your touches equally. 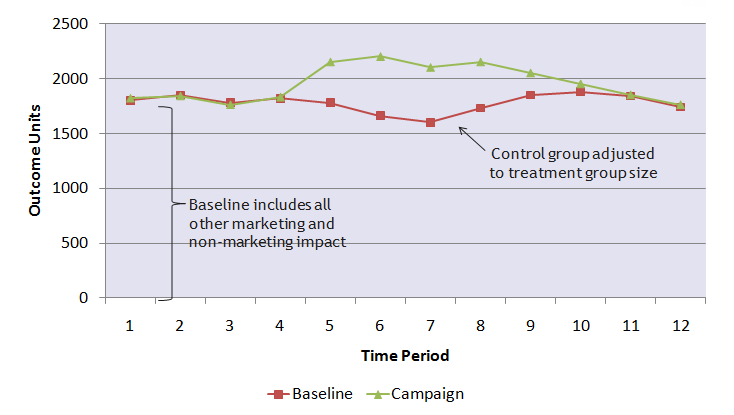 A great way to measure the true impact of a particular marketing program is to test the effectiveness of that initiative against a well-formed control group by comparing the two groups’ results. Almost anything can be measured using proper test design – but note that it’s prohibitively expensive to test everything with this method. Here’s how it works. With test and control groups, you apply the program or treatment that you want to measure to one component of your target buyer group, and not to another homogeneous part of that group. All other factors being equal, you’ll be able to attribute any difference in buyer behavior between the two groups to the particular program. Say, for example, that you want to measure the impact of one of your brand advertising campaigns on target awareness. One potential approach would be to split your market into two equal geographic parts, and spend twice as much on one group than the other. You can compare the behaviors of these two market segments to analyze your campaigns effectiveness – did you experience more growth in direct and branded search from the geography with more spending? Assuming all other marketing and sales influencers on these two groups were the same, you can credit any difference in traffic growth to your brand advertising spend. Sample output from test and control groups, courtesy of The Lenskold Group. The outcome metric (what you measure) can be anything: revenue, profit, leads, search traffic, conversion rates, average selling price, etc. – or all of them. This is good when it may be hard to see the impact of the program on things like revenue. Programs and tactics. 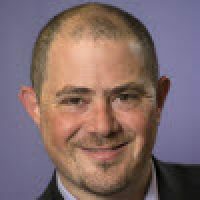 Did that particular webinar have an impact? Messages. Which message and/or copy resonated the most with your target audience? Contact frequency. How often should we send an email? Spending levels. What happens if we double investment in display advertising? It’s also possible to measure combinations of touches rather than just single touches. This is a great way to test lead nurturing tacks – allowing you to test and measure the effectiveness of one entire lead nurturing track versus another rather than individual emails, etc. Should you want to test multiple campaigns at one time, you can also use multivariate testing methodologies. Just make sure you don’t need go overboard. You need to make sure the difference between your control and test groups is statistically significant in comparison with average standard deviations. Eighty percent confidence should be good enough – we’re not talking about drug testing or other things that require 99% confidence. For more on testing statistics, see Marketo’s The Ultimate Guide to Test Statistics. Market Mix Modeling (MMM) shows how sales volume outcomes are dependent on various independent marketing touches and other non-marketing factors by using statistical techniques, such as regression. 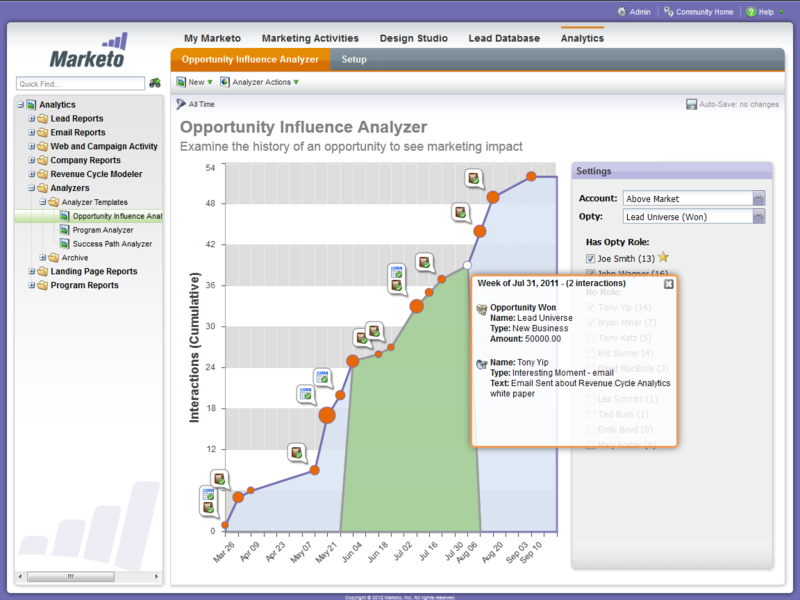 Only 3% of B2B marketers currently use this model to measure Marketing ROI. Company X makes $165M in revenue. Company X spends: $5M on search advertising. As you might imagine after seeing this example, the selection of your independent variables can be a complicated affair – and arguably involves as much art as it does science. You’re likely to find that you’ll expend the most of your resources – both in time and money – in collecting your data, not analyzing it. You’re not alone on the learning curve. According to a MMA/Forrester/ANA study, 87% of senior marketers did not feel confident in their ability to impact the sales forecast of their programs. Said differently, this means you have the ability to snag a competitive advantage over 87% of your competition! Quality trumps quantity. You’ll benefit your company and improve your marketing programs more with a few fine-tuned measurements than a handful of inaccurate, inconclusive metrics. Start in small, bite-sized chunks, and go from there. What you put in is what you’ll get out. When you strategically invest your time and financial resources in developing a marketing measurement model, you position yourself for future success. You’ll optimize your overall program mix and prune individual top-performing programs to increase company sales, profits and market share. Who doesn’t want that kind of reputation? Get the information you need to help quantify your marketing results and prove the marketing ROI of your campaigns to your organization with The Definitive Guide to Marketing Metrics and Marketing Analytics.